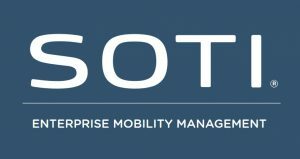 SOTI makes mobility management easy. It simplifies the security and management of multi-vendor, multi form-factor and multi-operating devices in your multi-purpose mobility ecosystem – all through a single, easy-to-use interface. SOTI is also a proven product innovator and EMM Industry leader. Over 15,000 customers across 170 countries rely on SOTI for their EMM needs. We have strong partnerships with hardware manufacturers, providing support for new mobile devices and operating systems well before the competition. We understand the unique requirements of our partner’s industries, including logistics, retail, healthcare, education and field services. SOTI has a strong focus on R&D and we are constantly innovating to do whatever it takes to keep our customers happy and successful. Making day to day mobility management easy lets the enterprise take mobility to endless possibilities.